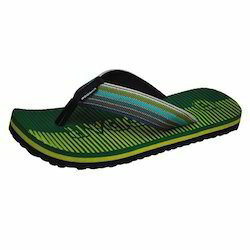 Pioneers in the industry, we offer gents hawai slipper, hawai chappal, men's hawai chappal, poddar casual gents slipper, poddar gents casual slipper and poddar hawai indoor bathroom slipper from India. Being the most trusted name of the industry our company brings forth elegantly designed Gents Casual Slipper, which is known for its lightweight and skin-friendliness. 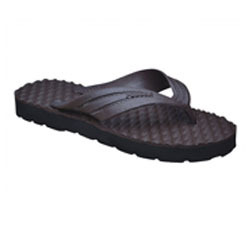 Made available in numerous designs, sizes and colors, these easy to maintain chappals are known due to their strength, anti-skid sole and appealing design. With the aid of modern machinery and technology, we have been able to manufacture, supply and export a commendable range of Health Slippers. Good as per acupuncture norms, these slippers are manufactured in adherence to the guidelines laid in the industry. 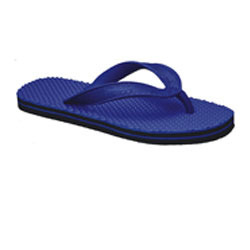 Apart from this, we offer these slippers in various colors and attractive designs to suit the demands of customers. Packaging Details: WE used standard quality material for packing. Being a client centric firm we are involved in manufacturing, supplying and exporting a wide range of Men's Footwear. We manufacture these by utilizing advanced techniques and using a high-grade material in compliance with current trends in the market. Offered Ladies Footwears are widely used and well known in market due to their reliable nature. Owing to our rich experience in this domain, we have been able to manufacture and trade best quality Hawai Slippers to our esteemed customers. Highly motivated to attain maximum customer satisfaction, our team of logistics professionals assures timely delivery of these slippers at the customers’ end. 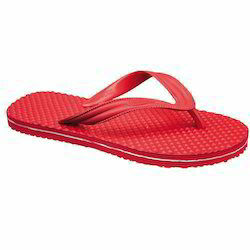 Available with us at reasonable prices, these slippers are highly appreciated among our customers. We hold expertise in offering premium quality Ladies Hawai Slippers to our valuable customers. These slippers are highly appreciated among our customers for their rich attributes such as trendy design, lightweight and smooth finish. Being a quality conscious organization, we strictly follow various quality assurance procedures in order to ensure a defect-free range. Packaging Details: We used Standard material for packing. Ours is a well-known name in the industry that manufactures, supplies and exports Mens Chappal in dark blue, mehndi and red colors. 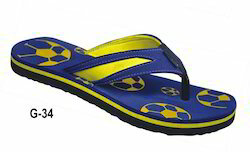 Made available in multiple sizes and styles, these attractive and elegantly designed chappals are highly demanded. Proffered set is known for its high strength, attractive looks and greater flexibility.